Located in beautiful Hawaii, the Kilauea volcano has had an explosive summer, earning it the title of ‘most threatening volcano in the United States’ according to the U.S. Geological Survey (USGS) National Volcanic Threat Assessment. But, just how concerned should we be? This year has been an incredibly dangerous one for the residents of Hawaii. While the area is no stranger to volcanoes, Kilauea is one of the state’s most active. In April the Pu’u O’o crater collapsed, leading to a flow of lava that lasted from May to August. The collapse and resulting eruption have been identified as the largest in at least 200 years according to a recent study published in the journal ‘Science’. During that time, there was over 62 separate collapse incidents record, drawing the attention of researchers and scientists around the country. “Each of these 62 almost-daily events was still larger than any of the other subsidence events we’ve measured with modern geophysical instruments,” explained Montgomery Brown of the USGS. 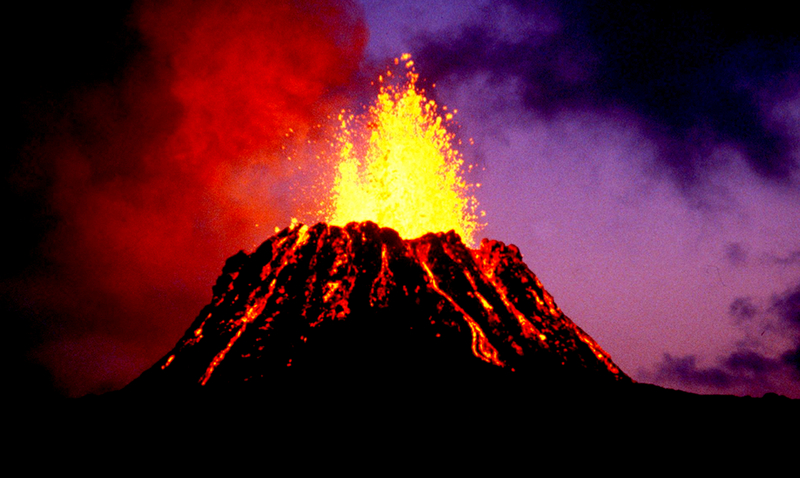 In just 4 months, Kilauea released enough lava to fill approximately 300,000 Olympic-sized swimming pools. Eventually, the lava covered an area of approximately 13.7 square miles. This summer’s run of eruptions fell silent in September; however, the volcano is still not considered dormant and the risk isn’t over. Surprisingly to many, the volcano is now considered to be a greater threat than both Mount St. Helens and Mount Rainier. There is good news for the future – patterns show that the next phase that Kilauea will move through will be a slightly quieter one. What we aren’t sure of is just how long that will last. Following the guidelines laid out by the Smithsonian Institution’s Global Volcanism Program, a volcanic eruption is deemed to be completely over only after a period of 3 consecutive months have passed with no activity. For Kilauea, this important timeline hit on December 6th. While there is still magma beneath the summit and throughout the area known as the ‘rift zone’, USGS has officially declared that it is ‘very unlikely’ that the 2018 eruption will resume. For those in the area, it is time to rebuild their lives, all while paying careful attention to the beast that is such a short distance away, as no one truly knows was Kilauea has planned in the years to come.